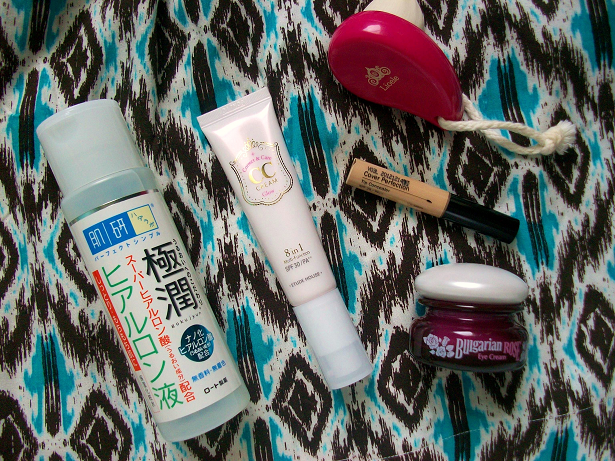 Today I have a fun mini haul to share with you all today! 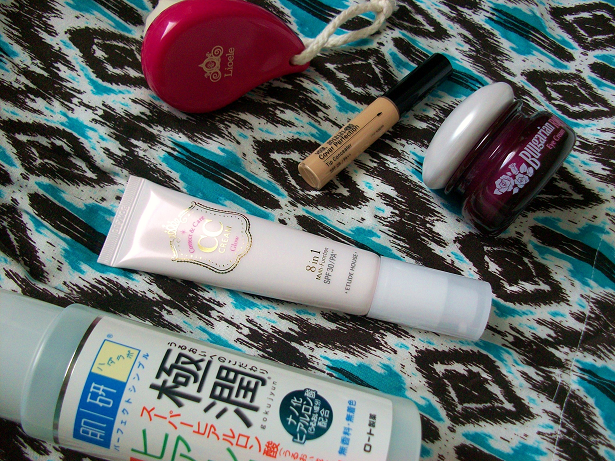 As you may know I'm really into Asian related things especially beauty things! I've collected these items within the past two months and finally get to show them to you guys. All items were purchases off of ebay. Enjoy! Etude House 8 in 1 Multi-Function CC Cream in Glow: CC creams seem to be the newest thing in the beauty market so I decided to pick up this one by Etude House. I got the glow version but they also have a silky one. 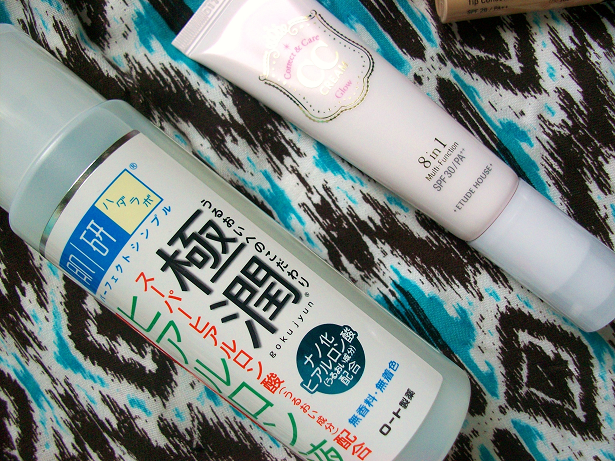 Hadalabo Hada Labo Goku Jyun Super Hyaluronic Deep Moisturizing Lotion: Sunnydahye uses this so I decided to try it. This is a very different moisturizer compared to the other creams and gels I have used. It's a liquid but dries with seconds after applied. So far I love it! 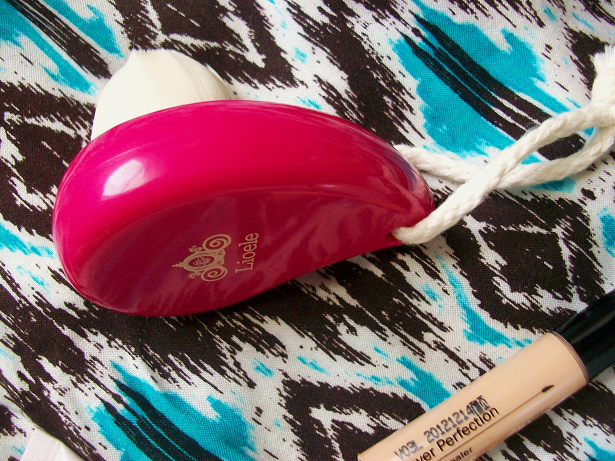 The Saem Cover Perfection Tip Concealer: This is another product I decided to pick up because of Sunny (she's my new favorite person on Youtube). I've used this for a couple of weeks and love how it covers up any imperfections such as pimples and other blemishes. It's not so great at covering dark circles though. 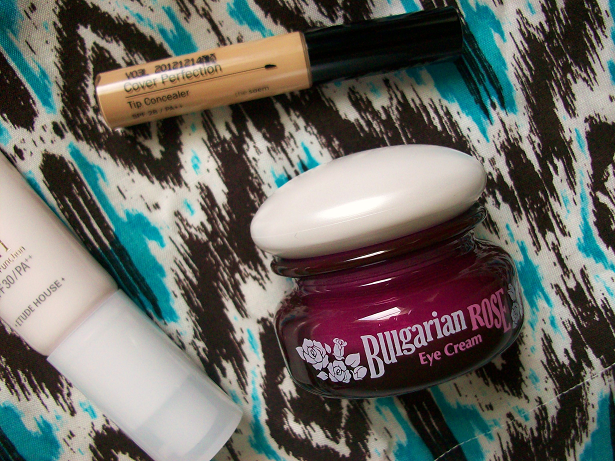 Holika Holika Bulgarian Rose Eye Cream: I haven't used a eye cream in a couple of months so I thought it was time to start using one again since I'm turning 20 soon. I've only used this for a few days so I can't say much however I love the light rose scent! This was also recommend by Sunny. Lioele Deep Pore Cleansing Brush: The last thing I got was the Lioele deep cleansing pore brush. I've heard that deep pore brushes are very popular in Asia so I thought I would give it a chance. I hadn't made up my mind if I like this or not I guess I need to keep using it to find out. Would you like a review on any of these products?